The Galaxy Note 9 is coming earlier than ever this year: Samsung has already officially confirmed that it will unveil the device on August 9th, but what about the actual release date? Last year, Samsung showed the Galaxy Note 8 to the public on August 23rd, but only launched the phone on September 15th, some three weeks later, and this was enough time for Samsung's big rival Apple to unveil its newest iPhones. This year, Samsung might be even quicker and is said to start the Galaxy Note 9 pre-orders in mid-August, days after the official announcement of the phone. What is not clear is whether this is the expected start of pre-orders for just its homeland of Korea, or for the whole world. 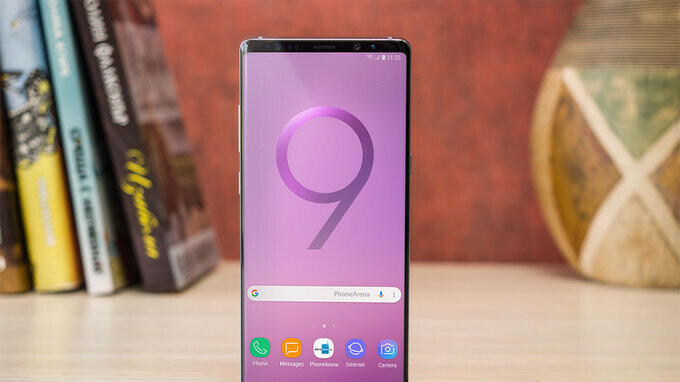 If Samsung indeed manages to kick off Note 9 pre-orders so early, it would have a big time advantage over arch-nemesis Apple, which traditionally holds an event to unveil its newest iPhones in early September and launches them to the public in late September. As to the expected new features in the Galaxy Note 9? It will have a brand new S Pen stylus, but will not have the oft-rumored in-display fingerprint scanner. You can learn more about the upcoming Note 9 here. LOL, hurry before A again. "...more than a month earlier than new iPhones" Other than someone who's planning on getting both phones, please help me understand the relevance. That's how PA makes their money so understandable they do click bait articles. Every click gets them money. Note 9 has no competition!!!! It’s in a league by itself.